Nourishing shampoos will hydrate, detangle hair, and smooth the cuticle while cleansing. 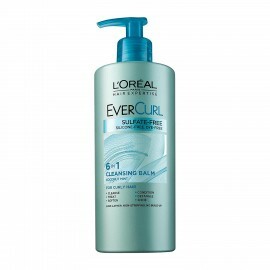 Gentle, non-stripping shampoos will leave strands soft, silky and shiny. Look for healing, nourishing ingredients such as hemp seed oil, silk and milk proteins, or jojoba oil. PropertiesWeight124 (gms)Dimensions4.5 (cm) x 3 (cm) x 12 (cm)..
Khadi Herbal Honey & Vanilla Shampoo is prepared for all Types of Hair,makes Hair Healthy, Silky..
Khadi Pure Gramodyog™ Herbal Amla & Bhringraj Shampoo is the extracts of Amla, Reetha, Bhringraj..
Khadi Pure Gramodyog™ Herbal Honey & Almond Oil Shampoo prepared for all types of hair. makes ha..
Lords Camy Arnica Shampoo with Henna and ConditionerIt is useful for extra nourishment and.. Ancient Living Rejuvenative Shampoo - 50mlAncient Living Rejuvenate Natural Shampoo is enriched ..
Fortified with natural proteins, essential nutrients of green gram, fenugreek and chick pea, Sri Sri..
Arnica Shampoo with Extra Conditioners Applicable for all type hairs Weight: 120ml..
PropertiesWeight238 (gms)Dimensions4.9 (cm) x 4.9 (cm) x 16.7 (cm)..
Neev OLIVE ALOE Shampoo 100 mlDescriptionNeev Olive Aloe Shampoo is a moisturizing..
Neev OLIVE NEEM Shampoo 100 mlDescriptionNeev Olive Neem Shampoo gives you clean a..
Khadi Pure Gramodyog™ Herbal Henna Tulsi Extra Conditioning Shampoo SLS & Paraben Free restores ..
Khadi Pure Gramodyog™ Herbal Amla & Bhringraj Shampoo SLS & Paraben Free the extracts of Aml..
Khadi Herbal Shikakai Shampoo SLS Paraben Free is made up of shikakai, amla tulsi, mehndi, lemon, tr..
Khadi Herbal Henna Tulsi Extra Conditioning Shampoo SLS & Paraben Free restores the body and bou..